A job search is often a moment of distress and apprehension. People desire and dream about the moment they will find a job that fits their professional profile. Nevertheless, during that pursuit, it is possible to fall into traps and, if you are not alert, to become a victim. Being aware is paramount because there are scammers out there ready to profit from the psychological instability of an unemployed individual. Babysitters and caregivers have become an easy target for cybercrimes. Unfortunately, fraud on job sites is becoming increasingly common, and there are several signs that can help you avoid falling for those scams. 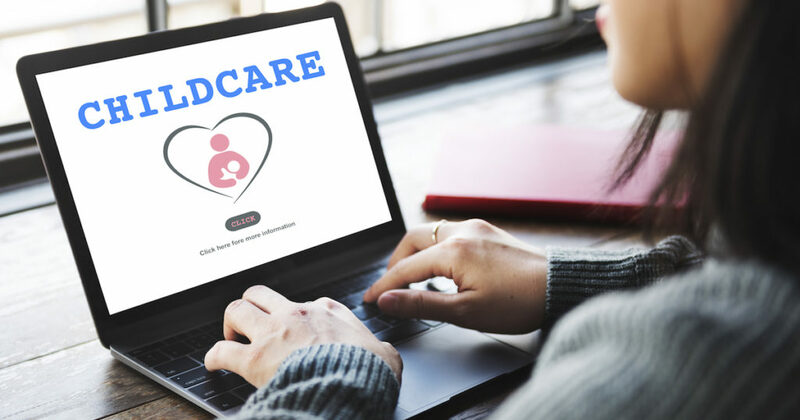 According to Care.com – a public corporation that helps families connect with caregivers – there are two kinds of scams that can be detected when one is approached. The first one involves a salary well above the market. That is right; be skeptical when the offer is too good to be true. If you know what the average salary of a baby-sitter or caregiver is, reconsider when you see a job offer that is above the regular wage. The second kind of fraud involves a “prepayment” scam. The scammer creates a story, tells you that he or she prefers to pay your salary ahead of time, and, shortly after, asks you to by something for him or her. That was how Cristina Dutra,* a Brazilian, almost fell for an internet scam about two months ago. She was searching for a babysitting position and decide to register with a site for employment believing it was the most practical and easiest way. But little did she know about the complications she was about to face. “A few days after registering, I received a message through the site from a woman that said she was deaf, had a handicap child, lived in San Francisco (CA) and was moving to Connecticut. Her story and the way she described it touched my heart and I thought I could help her. The salary was perfect and so was the job description,” recalled Dutra. She only became doubtful when the woman asked her to purchase a wheelchair for her son. In modern times, when in any part of the world you can buy things with a simple click of a button, why did she need help to purchase a wheelchair? The answer was simple: after providing the scammer with a full name and address, she or he sends the victim a check. After depositing the check, the scammer creates another story and requests a partial refund of the money. Then the victim finds out it is a scam because the check is fake and she or he already sent the refund with their own money, in addition to covering any bank charges and fees. “I was lucky to find it out before I sent a refund check. Basically, I blocked the phone we were using to communicate and did not reply the emails that they were impatiently sending me. I learned a lesson and now when I am very cautious when I see a job that ‘is too good to be true.’ I hope other people won’t fall for that kind of nasty and perverse scam. We worked so hard; it is not fair to be deceived by characterless people like that,” she concluded. Fortunately, Dutra did not fall for the scam, but sadly, there is an alarming number of babysitters and caregivers that are not familiar with that type of scam or are too naïve to believe that it is possible to end up becoming victims of it. So, be extra careful while searching on websites for employment. There are many serious offers but also scams such as the one described by Dutra. In case you fall for such a scam, report it to your local police department. Always be careful not to become the next victim. *A fictitious name was used to preserve the identity of our interviewee.